Last edited by andersmb; 09-01-2011 at 10:13 PM..
Just get the TSX projectors and be done with it. Dont make it harder than it has to be. Shop around on ebay abd forums and you can get them for $100 or less. I bought one from a member on here for $50 and one on ebay for $45 I think it was. 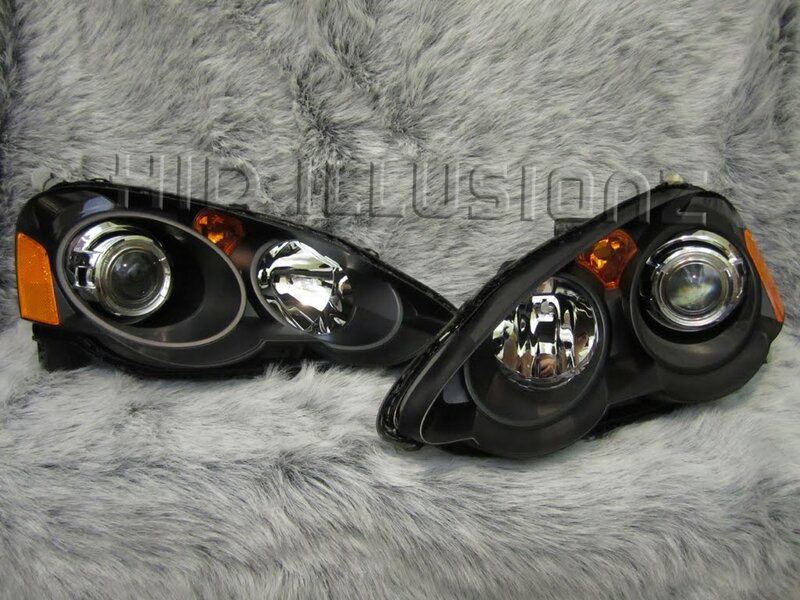 Aznvtek..... thats why i bought them because i seen that you had them and yours looked well, i got the whole pair from the TRS for less than 80 bucks, i was willing to pay more and not have to shop around etc... so are your high beams are eliminated now? this isnt a big hassle if it has to be. Last edited by Tegg4; 09-08-2011 at 09:29 AM.. The morimoto projectors and mini gatling shrouds i bought will sit back in the housing farther than what your's does, but the flush look is sweet! how much did those babys cost ya? looks awesome! I bought all the parts myself. Parts came out to be around $365. That included an extra set of OEM lights, TSX projectors, Shrouds, Phillips bulbs, Morimoto Ballasts, and a harness. That's not to bad considering I got the higher end of everything. The Retrofit Source straight hooked me up with the ballasts, harness, and phillips OEM bulbs for well... the projectors and headlights cost me $205 so you figure it out. Ha. They actually matched the price of a competitors product that was not even anywhere as nice as theirs. Check out the tech on the ballasts, much more sophisticated than anything out there other than OEM. They are OEM grade. The retrofit itself was from HID Illusionz. http://hidillusionz.blogspot.com/To have them retro mine cost me $300. I called over 6 places and they were the cheapest by $150, their work looked the best, and were very helpful! I HIGHLY recommend them. Their work is top notch, these guys love what they do and it shows. 300 is not cheap, but it guaranteed that they were done right and come with a lifetime warranty on their work. I could have done them myself and would have if they were 05+ headlights but these are much harder. It was well worth the price IMO. Spend $665 total for parts and labor. Much cheaper and a lot nicer than most of the ones I have seen done. Check out their site, pages and pages of sick retrofits. I couldn't stop looking at them. 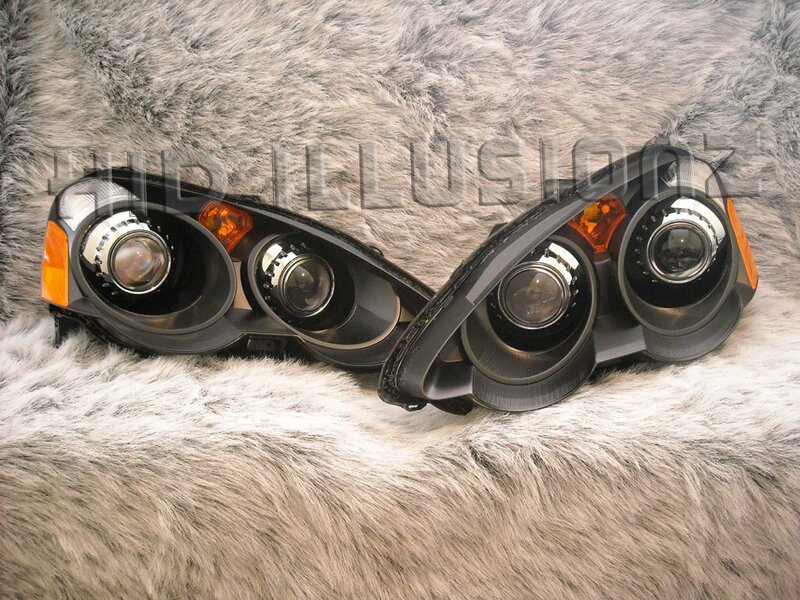 They do insane LED work and may have them retro my tail lights w/ all LED lights in the future. Here is some more of HID Illusionz work. I do not work for them or anything, I'm just a very happy customer. Last edited by Tegg4; 09-08-2011 at 10:50 AM..
Got any pics of yours? Would love to see them. I was willing to spend a good bit for the retrofit since it is a lot more functional and useful than almost anything else you can do. Makes driving at night 100% more fun! Nice looks good. Are you blacking everything out? Doing anything different to the reflectors or other lights? I wanted to have the front half of the high beam bowl blacked out, but wasn't sure if it would mess up the output. Yea, no kidding, but I bought the parts and saved up over the course of 3 months. So its a long time coming. 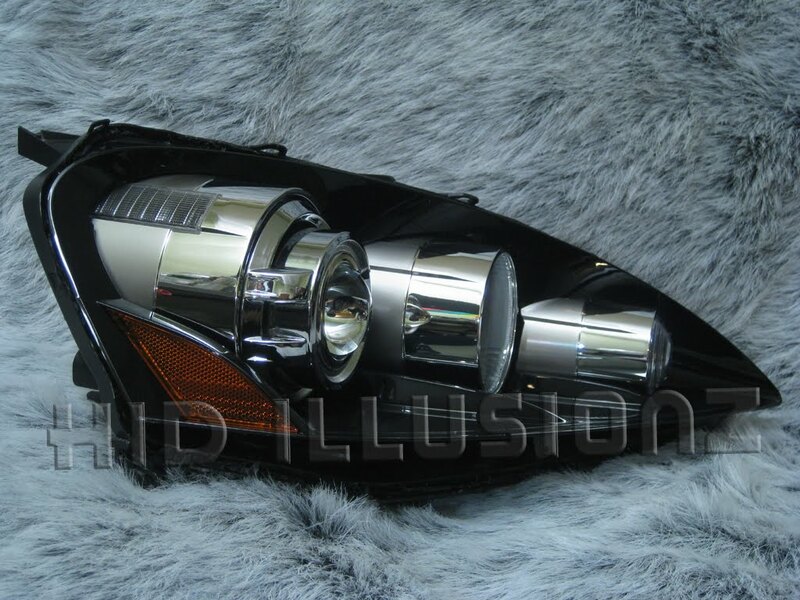 I plan on doing a black Chrome paint job on everything and maybe a yellow Chrome on the high beam reflector bowl. 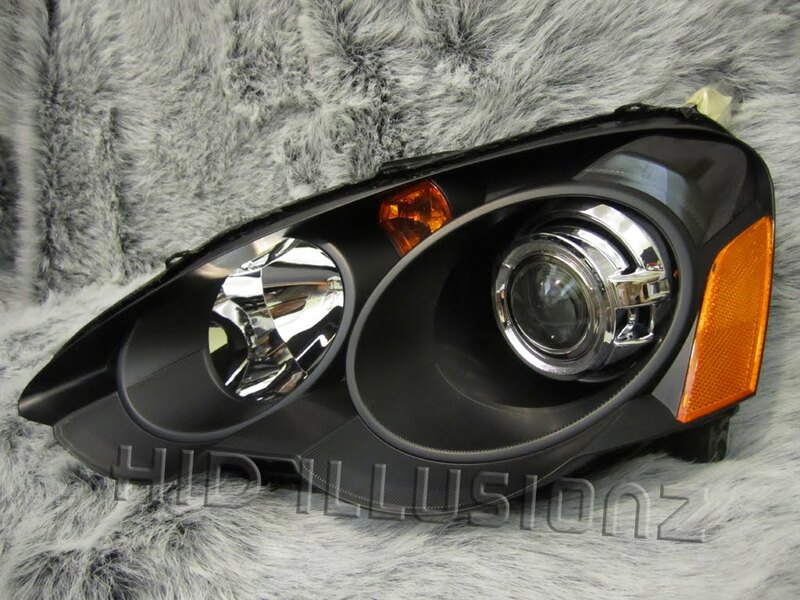 The ocular shrouds, but they wouldnt look all that great on a RSX imo.